The Indians called Long Island "Paumanok", which meant "Land of tribute". This name, by the way, is among many others recorded in historical accounts under different spellings; partly because the Indians did not have a written language. For example: Unkechaug (the word "Unkechaug" has had varied historical spellings) The nation is also known as the Patchoag, Patchogue or Patachogue. 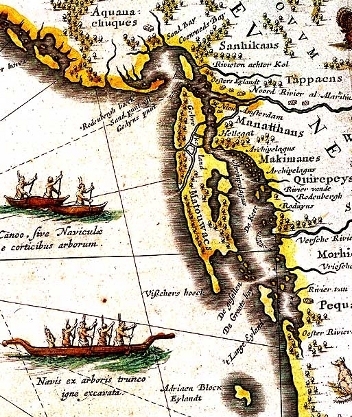 The overall general consensus is that when Long Island was first discovered/settled by the European explorers it was inhabited by 13 tribes or groups of Indians. 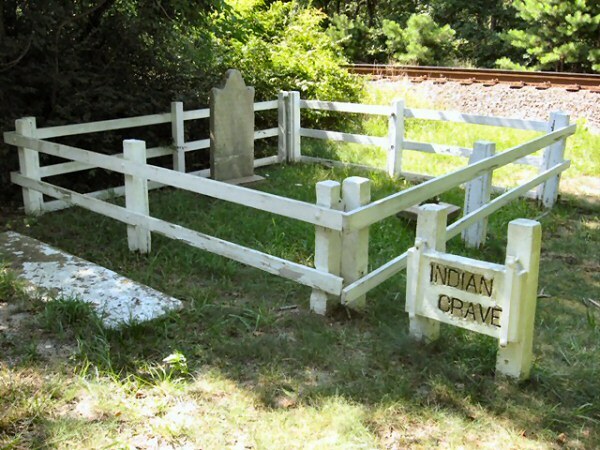 They all belonged to the great tribe known as the Delaware Indians, belonging specifically to the Algonquin family. A tribe was an independent nation with its own territory (Long Island) leaders, and their language. On the south side, from west to east, were the Canarsee, Rockaway, Merric, Marsapeague, Secatogue, and Unkechaug lived on the south shore. On the north shore were the Matinecock, Nesaquake, Setalcott, and Corchaug (Cutchogue). On the east end of the Island were the Shinnecock, Manhasset (Shelter Island) and the Montauks. 99 JAMAICA A family of Indians who resided near the bay, south of the Beaver Pond, who were known as the ' Jameco' Indians"
"a place for seeing (or to be seen) far off"
2012 SHINNECOCK Denotes "a level country" where the Dutch found the tribe encamped in the earliest days of the township. 2045 WAUWEPEX Means "place of good water"
mid-60s until his retirement in 1971; and yes, his signature was on all the tickets. He was the 3rd ranking official at the railroad at that time. named after Onteora and Wauwepex. Mr. Blauvelt, also an avid Scouter, was enthusiastic about this idea and the cars were so named. "the land of the periwinkle" or "country of the ear-shell"
The Dutch originally colonized New York, shortly afterward in 1652 a group of Englishmen from the Massachusetts Bay Colony came and settled in the Dutch colony. They founded a town they called Newtown, which included Whitepot, which later became Forest Hills. There are two legends that surround the origin of the name Whitepot or Whiteput. The first being The Dutch had named it for the hollow or pit, "put" in Dutch, that was formed by a dry river bed in the area. The second legend is that the land was sold to settlers, by the local Indians, for three white clay pots. There seems to be an interesting history associated with the name "Matawok" referring to the place Long Island. As background, an Algonquian native nation variously identified as Matouac, Matouwac, Metoac (Dutch) or Montaukett (English) inhabited all of Long Island east of the present-day Queens County line. A Dutch map (1635) of Northeast Native territories shows the Matouwac territory of Long Island. Matouwac Research Center for further info. 4 miles east of Yaphank and 2 miles west of Manor. Appears on the 1852-53 timetable only. Also used as a meeting/passing location. Appears on an 1855 map as a siding at this location before the name: Wampmissick from 1916 LIRR Valuation Plans and in the LIRR�s 1924 CR4 book which indicated freight siding locations. "Indian Place-Names On Long Island and Islands Adjacent With Their Probable Significations"